‘Killer Nashville’ has made a name for itself as a hub for good crime-writing and authorial opportunities. Its main event is the Killer Nashville Writers’ Conference , founded in 2006 by writer and filmmaker Clay Stafford as a trademarked charitable production of American Blackguard, Inc. With 500 participants every year, it has developed a reputation as a leading advocate for writers and readers of all genres. The next conference will be held August 18-21, 2016 in Nashville, Tennessee, USA. To heighten its focus on emerging authors, the Killer Nashville Writers’ Conference has also introduced an Author Advisory Committee which is busy at work to create networking and support opportunities. Those who are interested in attending the conference but are struggling to finance their participation – for many emerging authors writing is still a labour of love – can now benefit from two scholarships designed for that purpose. The Lisa Jackson Scholarship was created to help authors who are struggling financially attend The Killer Nashville Writers’ Conference. Funds will be awarded to authors who demonstrate need in an essay format. The money will be used to pay for attendance to the conference, breakout sessions, a critique, and lodging on a case-needed basis. 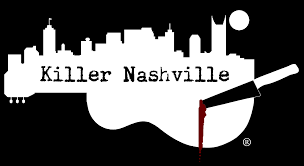 Write a 500-word essay that illustrates your financial need and why you want to attend the Killer Nashville Writers’ Conference. Scholarships will be awarded by July 31, 2016. The conference is August 18-21, 2016 and is being held at the Embassy Suites Nashville South Cool Springs. Deadline: July 1, 2016. For entry details, see here. The Jimmy Loftin Memorial Scholarship was designed to help someone who is struggling financially attend The Killer Nashville Writers’ Conference. Funds will be awarded to authors who demonstrate need in an essay format. The money will be used to pay for attendance to the conference, breakout sessions, a critique, and lodging on a case-needed basis. Write a 500-word essay that illustrates your financial need and why you want to attend the Killer Nashville Writers’ Conference. The conference is August 18-21, 2016 and is being held at the Embassy Suites Nashville South Cool Springs. Deadline: July 31, 2016. For entry details and prizes, see here. Thanks so much for helping us get the word out about these scholarships. We love discovering new writers. All best!